When it comes to Judy Taylor, the word “introducing” only means we’re introducing her in a new role. Many of you have known Judy for years. Most recently, you’ve seen her as the one encouraging you to buy a ticket at our monthly luncheons. 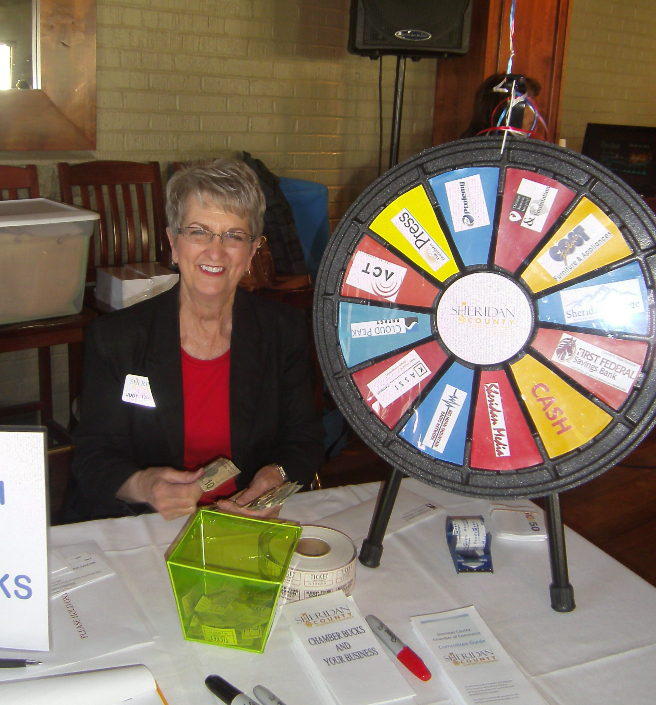 Judy is a long-time supporter of the Sheridan County community. She was on the Chamber board 1988-1991 and 1995-2005, and board president for five of those years. She’s the chair of the Christmas Stroll Committee, an ongoing member of the Chamber’s Fundraising Committee, and was named as the Chamber’s “Volunteer of the Year” for 2011. She was a Chamber Ambassador for 25 years. She also served on the Sheridan Travel & Tourism board and is their immediate past president. And many of you know her as Sheridan’s own “Mrs. Claus” at Christmastime (for over 25 years!). We could go on and on about her involvement in other civic organizations. Needless to say, she knows the Chamber and the community very well. Now Judy is working even more with the Chamber team to better serve our Chamber member businesses. Don’t be surprised to find her coming through your door sometime soon. Thanks, Judy, for your continued support!